So nice to see, Boing Boing featured an item about Salvage! I wandered into a temporary showroom for Trainspotters in London this weekend; they’re a retailer specializing in salvaged industrial lighting, with a lot of crazy, chunk ex-Soviet numbers. Looks like you have to buy direct from them by phone, and the prices weren’t low, but I’m still cleaning drool out of my shirt from my brief visit. Lovely stuff. Welcome to Trainspotters, specialist dealers in reclaimed industrial lighting, decorative salvage and interiors. We are based in Stroud, Gloucestershire, where we hold a large stock of industrial and period lighting, salvaged vintage fixtures and 20thC reclamation, from the UK and the former Eastern Bloc. 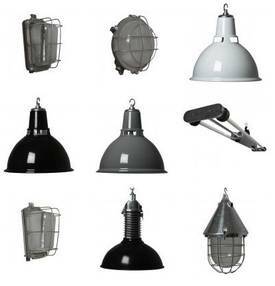 We specialise in sourcing large runs and quantities of retro lighting, making us an unparalleled resource for larger scale commercial projects such as pubs, bars, clubs, shops, restaurants and public spaces. This website is our catalogue and we aim to get all new stock online as soon as it comes into us – we hope you enjoy browsing the site. via Salvaged lighting fixtures – Boing Boing.